The parameters which defines the LED TV rental for a new horizon? In the recent years, the LED TV Rental Dubai has become the buzzword amongst the users who are constantly keen in exploring the LED TV’s on rent for varied accomplishments. 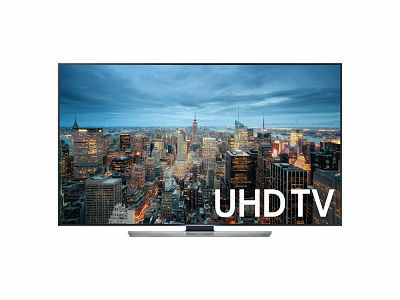 In fact there has been a constant debate amongst the users about LED TV’s with reference to their promotional component to possibly showcase the product information through them? What are the possible parameters that could define LED TV’s as a masterpiece in itself toward bringing the best of light emitting diode which defines clarity? LED (Light Emitting Diode) Television has undergone a massive transition in the recent years, as the gadget comes with a customizable backlighting and with local dimming capabilities. The local dimming which is the core component of LED TV becomes enables a user to individually adjust so that it brings about the finest picture quality and contrast when viewed. LED TV has been the engineering marvel today, which has brought the thinnest LED TV incorporating the cutting edge-lighting technology embedded in it. In fact, LED screens have transformed to become the advanced LCD screens in the recent times and in the previous version these LCD’s were powered by CCFL (Cold cathode fluorescent lamp) has now been drastically shifted to LED (light emitting diode) to attain a more contrast image. As mentioned above, with the emergence of the emitting diode in LED TV’s numerous product companies capitalize these ranges of TV rental Dubai for their product campaigns as these TV’s have an inherent capability in the form of the pixel quality which grabs the attention of the audience within a very short span of time. The pixels in the LED TV’s have always brought in superior image quality which brings about the lasting impression in the minds of the audience. As an analogy, one needs to understand that pixels in fact contribute to a significant extent towards the picture quality. In fact, the pixel for the indoor LED TV’s are defined as 5 mm, 6 mm, 8 mm and 10mm and for the outdoors are 8 mm, 10 mm and 16 mm. The outdoor display with LED TV’s have been constantly pioneering itself and have now come up to have the best distant viewing experience. VRS Technologies have always been persistently innovative with reference to constantly update them and bringing about the high end LED TV’s which could suit to the users for their promotional pursuit and for the home based pursuance. In the event that you are looking for LED TV rental in Dubai, UAE, please approach us at VRS Technologies and call us at 00971555182748 so that our sales team could provide you with the upgraded version. Please visit our official website www.vrscomputers.com for more information.